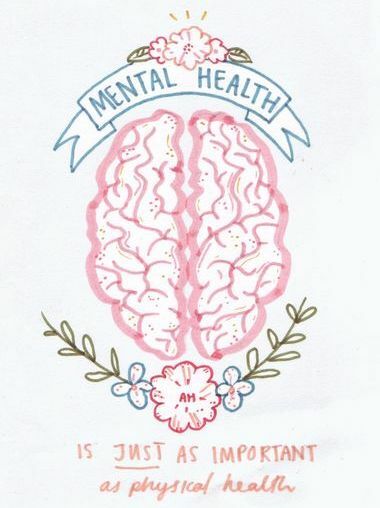 As May comes to an end, so does Mental Health Awareness Month. It makes me sad to think that people might stop talking about this just because Mental Health Awareness Month is over, which is why I chose today to write this post. I would like to keep this conversation going even after today, after this month, after this year. According to Nami.org, 90% of those who die from suicide suffer from mental illness – suicide is the tenth leading cause of death in the United States – it is the number one leading cause of disability worldwide. 56% of American adults who suffer from mental health disorders do not seek help. Stigma is a negative stereotype associated with mental illness. People are afraid to admit that they suffer from bipolar disorder, depression, schizophrenia, anxiety, etc. because they fear for the judgement that follows. However, with mindfulness we can beat the stigma. According to dictionary.com, mindfulness is a mental state achieved by focusing one’s awareness on the present moment, while calmly acknowledging and accepting one’s feelings, thoughts, and bodily sensations, used as a therapeutic technique. Basically being aware of your own thoughts as well as the feelings of other people. If you suffer from mental illness, I implore you to be mindful enough to look to friends, family or physicians for help. Don’t be afraid to seek advice. Your true friends, family and especially qualified Doctors will never judge you. If you know someone who is suffering, I implore you to be mindful enough to ask them how they are doing. Pay attention to their symptoms. Sometimes you don’t need words because being there and showing that you care is enough. Sometimes it may be more extreme, and you might need to take action to get them help. If you know someone who is struggling to help another who is suffering, I implore you to be mindful enough to lend a hand. Listen to what they are going through and know that more than just the mentally ill person is affected by mental illness. Lastly, let this be life-long. Not just one year, one month or one day. We have to be more mindful of ourselves and others. We must be. I ask you: how can you be more mindful with Mental Health Awareness? We’ve all been there – curled up in our warmest comforter, dreaming of a world without responsibility, when all of a sudden your child creeps in – looming over you at the edge of your bed like a scene straight out of Paranormal Activity. You pull the covers aside and allow them to sleep in your bed because you’re too tired to go tuck them back into their own. You then proceed to get kicked, elbowed and rolled over on. All. Night. Long. A true horror movie. 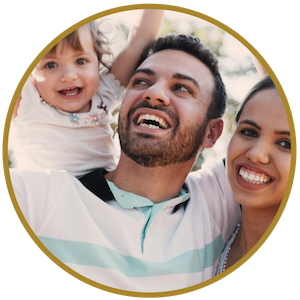 First things first – according to parenting.com, you need to decide on the appropriate time to start the process of helping your child sleep solo. The best time to begin is when your schedule is fairly regular. For example – no vacation coming up, no new baby popping out – nothing. Just a solid routine that you do every day. Throughout the morning and afternoon, make sure to explain to your child the expectations that you have for them during night time. Go out of your way to show your child where mommies and daddies sleep compared to where big kids sleep and make sure to explain the difference. This will help prepare them, and you, for this daunting task. Your job is a bit easier. If your kid wakes you up wanting to snuggle in your bed, walk them back to theirs. The frustrating and tiring part is that you have to stick with it. Is your child coming to you three times a night? Walk them back and tuck them in. What about twenty times a night? Walk them back and tuck them in. Do it as long as it takes until they give up. If your child is scared to sleep in their room because of nightmares or monsters, check the room with them and show them that there is nothing to worry about. 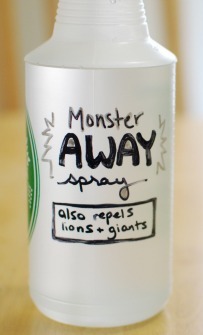 You can even give them a spray bottle with water mixed with a little essential oil and name it “Monster Away Spray” to be able to get rid of any lingering under-the-bed monsters. Your job will be harder. Parenting.com suggests sleeping in the child’s room with them, but not in the bed. Yup, that’s right – you’re going to be spending some time on the nice cold floor, so get comfy down there! Start off sleeping next to their bed all night long. That way, when your kid wakes up in the middle of the night they can look over and not be horrified that you’ve disappeared into thin air. After a few nights – move a little farther away from your child. You want to keep moving farther and farther away every few nights until you end up by the door and then back into your own bedroom. If your kid wakes up and comes to your room – calmly walk them back to theirs. Continue this as long as it takes until they give up. Praise good behavior and let them know how proud of them you are even if they got up a few times during the night. Reinforce their effort and go over the rules again by showing them where they sleep and where you sleep. After all, kids love to please their parents. They also love rewards! Rewards are a great way to let kids know that they are doing a great job. After a good night – give them a prize! Allow them to pick a piece of candy out of a “Sleep Treat” bag, watch their favorite movie, or even take a trip with your kiddo to the nearby park or beach on a nice day. It is a long and tiring process, but it will eventually work. Because, hey, what teenager do you know that still wants to sleep in their parent’s bed? Let us know in the comments what helped you to get your child sleeping in their own bed! It’s a well-known fact that breastfeeding is great for your newborn baby. Although that is highly talked about, something that is a little less discussed is women who struggle to produce milk. According to fitpregnncy.com – the number one reason mothers stop breastfeeding is because they believe that they simply can’t produce enough milk for their babies’ health. While some women are empowered by watching their bodies nourish their babies, others lose confidence. If you perceive that you are not producing enough milk and therefore not allowing your baby to grow as fast as he or she can – the mother can lose confidence in herself very quickly. How can I re-gain my confidence in breastfeeding? Weigh your baby before and after feeding to see if your baby is receiving the proper amount of nourishment or not. Keep track of the amount of diapers your baby wets throughout the day. According to babycenter.com it should be about six diapers. If you notice your baby is not satisfied and your breasts are not softer after feeding you can try the following to produce more milk. Nurse and nurse frequently. Kellymom.com states that if the removal of breast milk does not take place every few hours, mom’s supply will begin to decrease. Avoid pacifiers so that all of the latching and sucking is done during feeding. Between feedings, pumping helps support the natural flow of milk all throughout the day so that there is a steady flow. There is no age restriction. When it is too emotionally or physically painful for you to continue breastfeeding is when you should stop. Do not feel guilty moms. You are incredible, your body is incredible and your baby will be absolutely fine. Formula exists for this reason!